This squad actually looks pretty strong, After India’s 3-2 defeat to Australia in their own home, I was beginning to feel that this India team might not do that well at the World Cup, but now, after actually looking at the squad, I am feeling pretty confident about our chances. More than the playing XI, the bench is a big asset for Team India. All 4 players on the bench will make for perfect backups for the players on the ground. There are some controversial decisions. Two players who were in contention but didn’t make the cut were Ambati Rayudu (for the no.4 designated batsman position which was taken by KL Rahul) and Rishabh Pant (for the no.4 backup wicket keeper position which was taken by Dinesh Karthik). As for the backup wicket keeper debate, I think that Dinesh Karthik is the correct choice. Reason being that he has much more experience in the game. He has shown tremendous ability to act calmly under pressure, and what would be more pressureful (I know it’s not a word ok!) than the biggest tournament in all of the cricketing world. As for the other decision of choosing KL Rahul over Rayudu, I think BCCI has taken the correct decision. Had you asked me around a month ago, who should play, then I would have probably said Rayudu, but now, KL Rahul has jumped back to form in the IPL. And he is not playing T20 innings, he is playing like one would in an ODI match batting at No.4 coming in when there are only 20 overs left. Rayudu, on the other hand has slumped to poor form and is not in good nick. Now for the No.4 debate, there are two real candidates. Vijay Shankar and KL Rahul. If I had to pick the better batsman, I would pick KL Rahul any day. But Vijay Shankar can give you a couple of overs in bowling too. Now who to play completely depends on how India wants to approach the game. If India want a really strong batting, then go with KL. But if they want a bowling attack who can get support from their partimers if they are having a bad day, they can choose Shankar. I personally would want Shankar to play. Overall, it is a great squad. However, even though I obviously want them to, I think that India might not be able to cross that final hurdle. But reaching at least the semis should be a given with a team of this caliber. Thank you for reading! I think we may be in for a few changes and surprises. Harsha Bhogle tweeted that this is a provisional squad and can be changed before May 23rd. Yes I saw that tweet along with all the other ones he made. One or two changes could definitely be made. Although it would be really harsh on the player who gets selected and then gets dropped. One good thing about the rule is that you can take form or fitness right before the World Cup into consideration, allowing every player who plays to give his best for the team. Loving the word play… fantastic word get it in the dictionary! Fielding has become too underrated and that’s why I think Shankar edges Rayudu as well as his variety with medium pace which does work in English conditions. I was so confused why people didn’t want KL Rahul in the side and I thought even though he has made runs in the IPL, he was such a good batter anyway so he didn’t need pressure on his spot. Maybe us Englishmen see differently to what goes on in the country so I am really talking from a blinded view. Keepers – who knows at least you have 2 hint hint Australia. You should post this on your blog, seriously this comment is capable of being a post all by itself! Everything is very well said and true, especially on the Shankar and Rayudu debate. Our selector also said that Shankar edges put Rayudu because he is a three-dimensional player. As for the KL Rahul thing, there was a whole controversy surrounding him. He, along with Hardik Pandya had gone on India’s biggest chat show, and they both spoke some vulgar things about women and things like that. That is why the country was against them for so long. But both of them have redeemed them now with their cricket and made it to the squad. 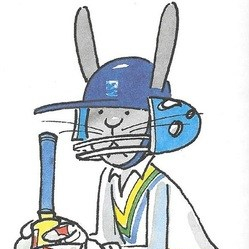 For an Englishman, you know so much about the cricket of other countries too! It’s commendable! If Carey gets injured, then what is Australia even going to do? And who do you think is going to open for them. Warner, Khwaja, Finch. Finch is the captain so he will open. Who will be the other person? I was planning on writing something about India but thank you that means a lot. Ah that makes some sense because I was struggling to think why Rahul was not well liked and that explains it. If Carey gets injured, I believe they can pull a replacement up from their Australia A squad which is touring england so either Paine Handscomb or Wade but they won’t be able to play on that same day. I think they can make changes based on injuries- apparently Finch has kept wicket before but I highly doubt he will do it because he hasn’t done it for Australia. For me I would keep with a Finch and Khawaja opening because it worked so well in Pakistan and have Warner at 3 so he can be play his aggressive style from ball 1 no matter if they are 0-1 or 200-1. But, I think realistically Australia will want Warner to open with Finch. You replicate my thoughts completely!